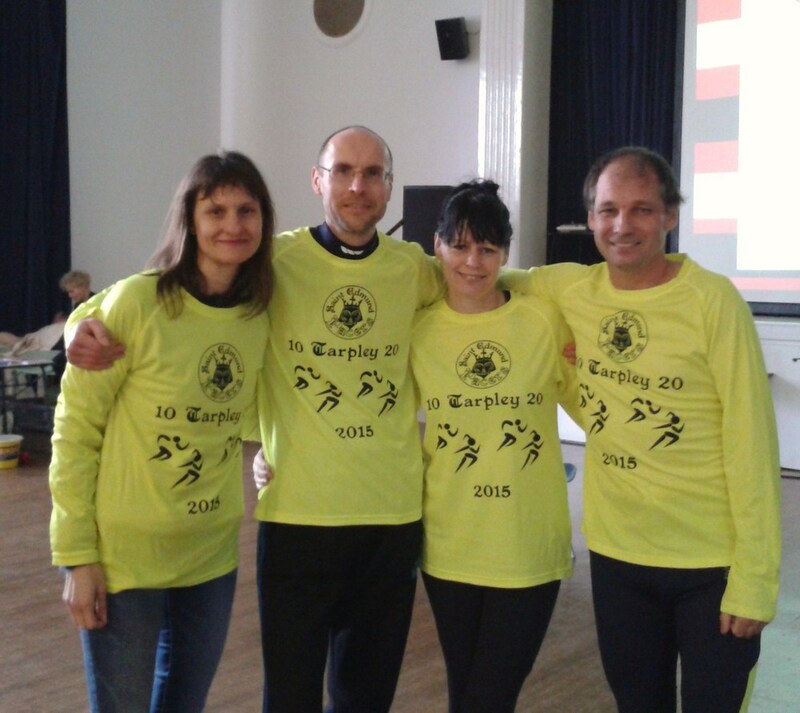 A quintessential quartet of Great Yarmouth Road Runners journeyed to Beyton and equally picturesque surrounding villages close to Bury St Edmunds to compete in the annual Tarpley 20 mile road race, hosted by the Saint Edmund Pacers. After a few enforced stops along the way there, the team safely arrived at race HQ to find conditions for running cool and breezy but by no means a barrier to achieving personal aims. With no less than 75 different running clubs being represented in the field of 400 runners it was always going to be a tough task to come away with any of the spoils. Leading the way home in the men’s event and overall was Bedford and County Athletics Club runner Andrew Inskip in an impressive time of 1 hour 56 minutes and 28 seconds whilst in the women’s event, Odette Robson of the Saint Edmund Pacer’s Club charged to victory in an equally impressive time of 2 hours 12 minutes and 24 seconds. Nevertheless the GYRR quartet did themselves and their club proud with some excellent runs throwing in three new best times. Whilst there has been some issues with the host club being able to verify finish times for some of the runners, contributing to the delay of this report, a big thank you should go to the organisers and other helpers of Saint Edmunds Pacers Club in putting on the race, especially so the marshals who really did encourage and support the runners at crucial times and even more so the bringers of the most wonderful assortment of post race confectionary. As always we look forward to returning in greater numbers and to be able to challenge for prizes in next year’s event.